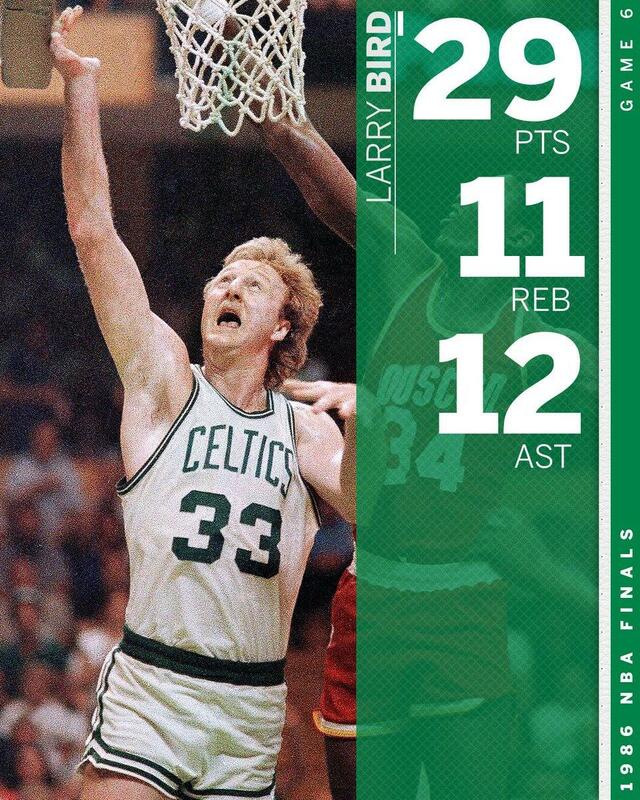 Thirty-two years ago today, Larry Bird led the 1985-1986 Boston Celtics to the Promised Land, defeating the Houston Rockets in six games and delivering Banner 16 to the city and its fans. For those of you not old enough to have seen Bird play (sorry), take a look at some highlights from title-clinching Game 6 and see why Bird has been dubbed as "Larry Legend." Sorry for the quality of the video. Again, for those of you who weren't born yet, well, HD video wasn't invented yet. Want more? Well, if you're game to watch the whole game, feel free to do so here. From all of us Celtics fans (new and old), thanks, Larry.